In order to create value from data, businesses and governments need better solutions to manage their data, analytics and computational platforms. They also increasingly need to gain unique and trusted insights from data across different organisations through collaboration and under complex regulatory environments. 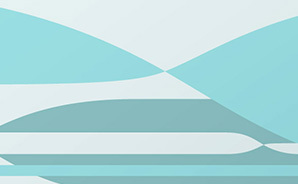 The Software and Computational Systems research program focuses on next generation technologies in secure data sharing, distributed and trusted data analytics and collaborative computational platforms. Our team conducts world class fundamental research in many areas such as trustworthy and secure systems, computational platforms (such as image analysis and molecular modelling), legal informatics, blockchain and biological data visualisation. This is further complemented by our strong industry collections which offer added capability. Our work has been used in government services, defence, agriculture, aviation, mining, personalised health, smart cities and environment management. Our recent success stories include our work in high assurance cyber-military systems funded by Defence Advanced Research Projects Agency (DARPA), leading the national effort in blockchain, regulation-as-a-platform, modular IoT security, high content analysis and nanodiamonds for drug discovery/delivery. We collaborate broadly with more than 20 local universities and many international institutes such as the University of Cambridge, MIT, Purdue University and Chinese Academy of Science. The network we have set up means we can draw on these capabilities to co-create value when solving problems with our customers. As part of an international partnership we are developing a complete, formally proven software package that will protect the critical systems of an unmanned aerial vehicle (UAV). We’ve worked with the University of Melbourne to develop software to help identify women at higher risk of breast cancer and women potentially suited to personalised cancer screening strategies. This work was a merit recipient in the R&D category of the New South Wales iAwards 2015.